No matter how many leadership seminars I attend, how many classes I participate in, or how much leadership experience I acquire, I never stop learning what it means to be a Christian placed in a position of responsibility and trust. I had the privilege of attending the 2017 ROTC retreat at OCF’s White Sulphur Springs Conference. It was encouraging to see our future officers seeking the Lord as they pursue their military careers. I attended the conference thinking I could pass on many of my lessons learned in my short military career. God surprised me as I took more away from the weekend than I gave. The theme that weekend was being a leader that God can use. In order for that to happen, three things must happen: We must have faith in something that is worthy of our faith; we must know who we are in Christ; and we must be prepared to fight the good fight, as we engage in spiritual warfare. You will put your faith in something or someone, especially in a leadership position. Where will you put your faith? Everyone has faith in something. Some put their faith in their careers, abilities or accomplishments; others in a spouse or children; and many in money. I briefed my capstone advisor once when we were about twenty-five percent complete with our aircraft design. We explained our design choices, found data online, made our own in specialized software, and ran wind tunnel tests. We put more trust in some data than others. My advisor bombarded us with questions: Why do you trust this data over that data? How do you know this data is better? How does the software program make its calculations? He told us we needed to know the answers to these questions because we had to make assumptions for some of our design choices. Using our engineering judgement and expertise, we made assumptions that were reasonable and in line with our end-state of making an aircraft. He did not say we were wrong. Instead, he said something I will never forget: your answers are only as good as your assumptions. The same goes with our faith. Faith is only as good as that which we put our faith in. 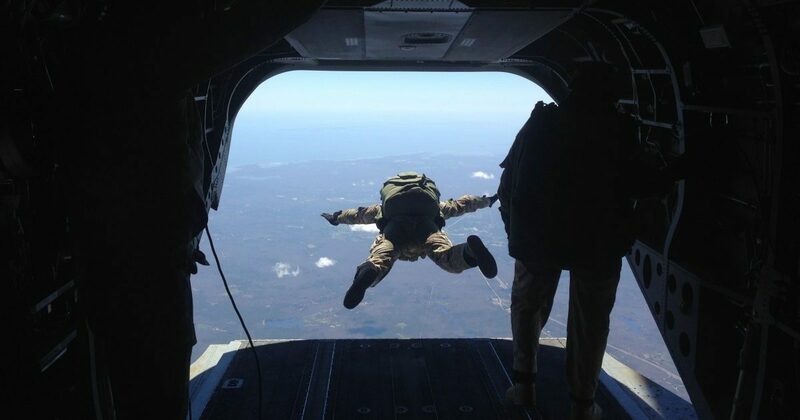 As a former paratrooper, I had to have faith in my parachute. You can never be one hundred percent certain your parachute will open after exiting an aircraft. So why would anyone jump? Because there is no reason to think otherwise. You only need faith the size of a mustard seed because it is not the size of your faith that matters, but the object of your faith. Put another way, you only need enough faith to get you out the door. It doesn’t have to look pretty, but you do have to get out the door. What does this have to do with leadership, particularly as a Christian? Everything! The Christian leader must have faith in the Rock of Ages if we are to lead effectively. One day your abilities will let you down. It is exhausting trying to please yourself and your boss. There is nothing more liberating that realizing you don’t work to please your boss, but God instead (Colossians 3:23-24). This is a huge reason why my platoon leader time challenged me so much. I tried to please my bosses and myself, and I made a lot of mistakes. When you put your faith in yourself, and you screw up, your faith becomes shattered. Your soldiers, your boss and even your NCOs will let you down some day. Praise God for these wonderful officers, NCOs, and soldiers who work tirelessly to enable you to be that effective leader. But they are also human and are learning how to lead more effectively. And just the same as you, your bosses, peers, and NCOs need grace. Maybe you will put your faith in all good works you do or have done. In Luke 7:1-10, the Jewish elders pleaded with Jesus to heal the centurion’s servant because of all the good works the centurion had done for the community. However, what makes the centurion’s faith remarkable is he did not put his faith in his works, but in Jesus’ authority to heal. A leader God can use must have his or her identity in Christ. He is the only authority worthy to bestow an identity, and it is the only identity we can have that cannot be lost. The Bible is filled with commentary about our identity in Christ. Ephesians 1:3-14 was the main passage used at the ROTC retreat. What exactly defines a person? Is it their name? Is it their career and accomplishments? Or is it failures, money, or security? An identity is something bestowed by some higher authority. In 2 Corinthians 5:17, we read that a believer becomes a new creation in Christ Jesus. But I don’t feel like a new creation. I still have a sin nature, still do things that I hate, still rebel against the Most High. Nevertheless, “feeling” new is irrelevant to the fact that I “am” new. Our being made new in Christ is never contingent on our feelings, but on God’s declaration that we are made new. Our identity is rooted in four questions: Who is God, who is my master (or Master), who am I, and what am I going to do about it? The answers to the first two questions drive the direction of the next two questions. If you know who are, then you know what you must do. If I define myself as an engineer, then it makes sense that I am going to design something. “I have been crucified with Christ; it is no longer I who live, but Christ lives in me; and the life which I now live in the flesh I live by faith in the Son of God, who loved me and gave Himself up for me” (Galatians 2:20). Have you ever been chosen for something? As you go throughout your military career, you will probably be chosen for some sort of task. I don’t mean chosen as in “voluntold,” but you specifically were hand-picked to see something through. As a platoon leader, I was handpicked for a mission with Ranger Regiment, but it was with another platoon that was not mine. The circumstances why I needed to go were not good. But my commander was faced with a decision and needed someone to see that mission to completion. He chose me for the task. The phrase “in Christ” is used 7 times in those 11 verses. Being in Christ means that we really are new creations. Being in Christ means that our successes and failures do not define us; our family does not define us; my singleness does not define me. Christ in me is my new identity. We are also sealed by the Holy Spirit. Being sealed by the Spirit means that we are given authority to act in Jesus’ name. Why do we doubt this remarkable identity God has bestowed on us? It could be for a number of reasons. One, because we believe the lies we are told. Scripture describes Satan as the Father of lies (John 8:44) and the accuser (Revelation 12:10). A second reason is unforgiveness. If we bring our offering before God and remember a brother who has a grudge against us, we need to stop we are doing and go take care of that issue immediately (Matthew 5:23-24). The third reason is shame, which can only exist in darkness. That leads us to the next point, which is unconfessed sin. James tells us that confessing our sins brings healing and that the prayer of a righteous man avails much (James 5:16). Everyone forms their identity in someone or something. If your identity is in what you do, what happens when you can no longer do it? If you define yourself by your family, what happens if you lose your family? What about money? What about titles? All these things can be lost in an instant. And none of these have the authority to define you. God alone has the authority to define you who are. Your successes and your failures do not have that authority. If you attempt to be the exception to that rule, you will be stripped of that identity once you lose that which defined you. As a leader responsible for military men and women, you are charged with ensuring your unit is ready to fight at any time. Half of my platoon leader time was spent on Global Response Force (GRF) status. We could be called to deploy at any time. What did that mean for us? It meant that we always had to be ready to go. Every opportunity we had to train, we were training. We always had the mindset that we could leave at any time. If we got called up and were not quite ready in one particular area, it was too late at that point. This is the mindset we must have as Christians regarding spiritual warfare. There is a real spiritual enemy. His attacks are sudden, when we are at our weakest, and they will destroy us if we are not ready. This spiritual enemy will do everything he can to stop us from loving Jesus with all our heart (1 Peter 5:8). That is why putting on the full armor of God (Ephesians 6:10-20) every day is so critical. The physical and visible is shaped by the spiritual and invisible. Our physical circumstances change as our spiritual circumstances change. The two are connected. Because we have a tendency to focus more on the fruit than the root, we emphasize the physical result of our sin rather than focusing on the spiritual issue of sin. There are six pieces of spiritual gear highlighted in that passage of Ephesians—three that we put on, and three that we take up as needed. The trio we put on are the belt of truth, breastplate of righteousness, and feet ready to advance the Gospel. The three we take up are the shield of faith, sword of the spirit, and helmet of salvation. There is a real spiritual enemy. His attacks are sudden, when we are at our weakest, and they will destroy us if we are not ready. We must be trained on how to use each part of the armor properly before putting it to action. We need men and women that have been fighting the good fight to show us how to follow Christ. 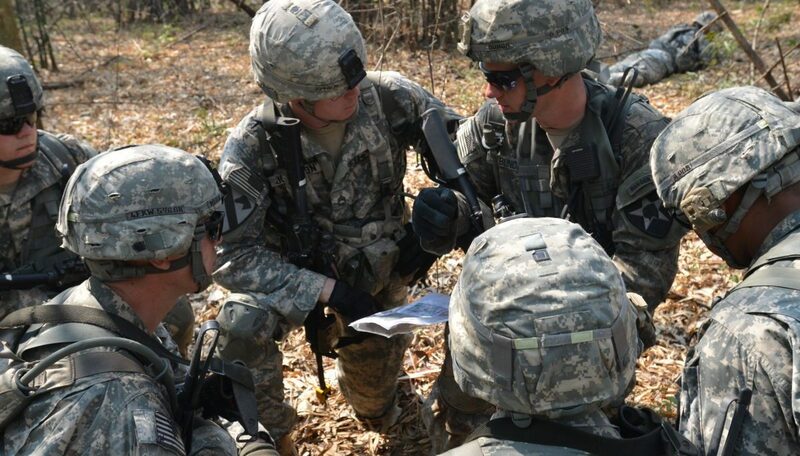 Part of the training for all Army soldiers is learning how to do every activity with all your gear. ALL. YOUR. GEAR. You don’t run as easily in armor. You definitely don’t fire a weapon as easily in gear. The same goes in our walk with Christ. In addition to being taught how to use the armor God gave us, He often puts us in situations that force us to don the FULL armor of God and fight the good fight. Spiritual warfare has a lot to do with being a leader God can use. As a leader responsible for military men and women, you are charged with ensuring your unit is ready to fight at any time. That means the most loving thing leaders can do is provide tough, realistic training. We spend a lot of time training in the military. It requires discipline, strength, skill, expertise, and teamwork. The same goes in our walk with Christ. The enemy will engage us. We, too, need training and encouragement from other people when we feel so overwhelmed we don’t even know if we can carry on. You will deal with tough circumstances as a military leader. Those you lead may get into trouble with the law, go through a divorce, deal with family members passing away, and so much more. The best thing you can do for them is pray for them. Fight the good fight for them, and let them see you doing it. Let them see their leader love Jesus, and translate that into a love for them. I want to say these words from 1 Timothy 4:7 some day: “I have fought the good fight, I have finished the race, I have kept the faith.” I want to fight well and fight to win, because Christ already has. 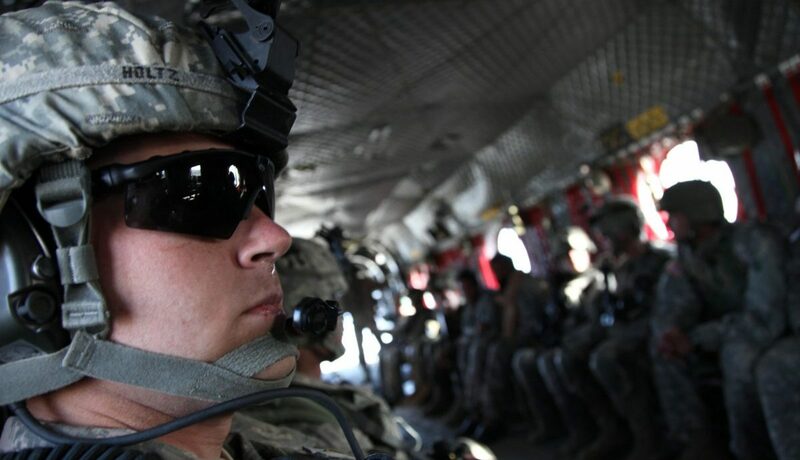 Ryan’s first military assignment was an airborne horizontal construction platoon leader at Fort Bragg, NC. He is now on assignment to the U.S. Army Corps of Engineers Norfolk District with the Technical Engineering Competency Developmental Program. Ryan has been an OCF member since 2010, when he started at USMA, and has continued to attend OCF Bible studies and conferences ever since.